5 Creative Ways To Reuse Your Mom's Old Sarees! HomeFashionDressing5 Creative Ways To Reuse Your Mom’s Old Sarees! We all love our sarees and make sure to preserve them for years to come. Some are expensive and some have huge sentimental values attached to them. But when such sarees become old, lose out their natural sheen or when the embroidery starts coming off, what do we do, just give them away? Doesn’t sound like a good idea, does it? Well, it’s a good thing to donate your old clothes but with some, you just can’t part ways. So, keep those rich and precious sarees close to yourself by just changing its form. There are a number of ways to reuse your old sarees, that don’t just let you preserve them but also adds oodles of creativity and beauty to your home. 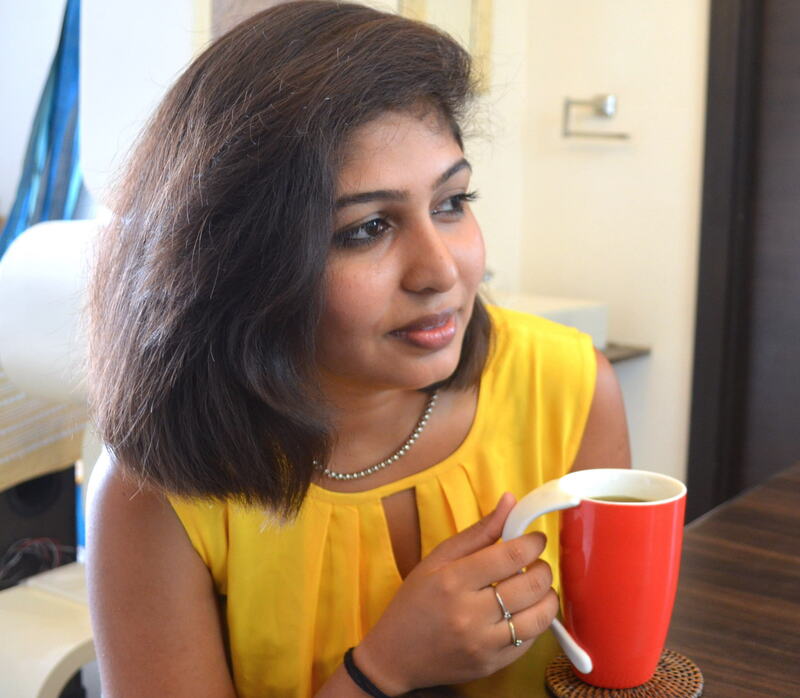 Here are just a few quick, easy and fun ways to reuse your old saree. Let’s get started. 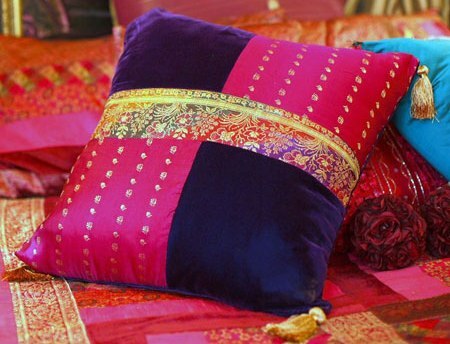 Old traditional sarees are the best ones to reuse as pillow or cushion covers. They add a touch of ethnicity to your house. Also, silk sarees with fine embroidery add elegance when used to decorate home. And it isn’t as difficult as it may sound. Get a good tailor and pick up some references from the internet and you are good to go! Or you can stitch it at home as well just set up Embroidery Machines For Your Home. 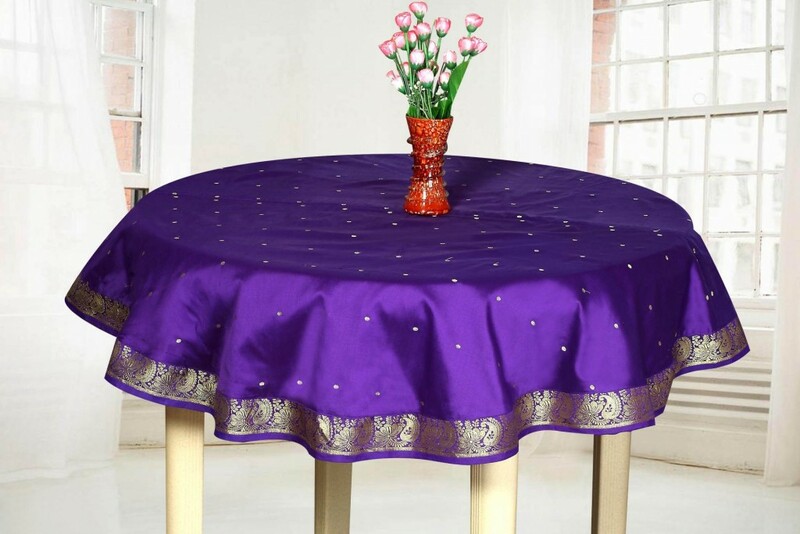 Another way to decorate and make great use of your old sarees is by simply turning it into a table cloth. Take right measurements of the table and cut the saree accordingly. Also make sure that you use the pallu, particularly if you have a nice designed pallu. You can also add embellishments at the edges of this DIY table cloth. A lot of decorative stuff is found very easily these days at art and craft stores. The best way to flaunt your beautiful saree is this. Bedspreads and curtains give you the chance to use a huge piece of the saree and at times all of it. 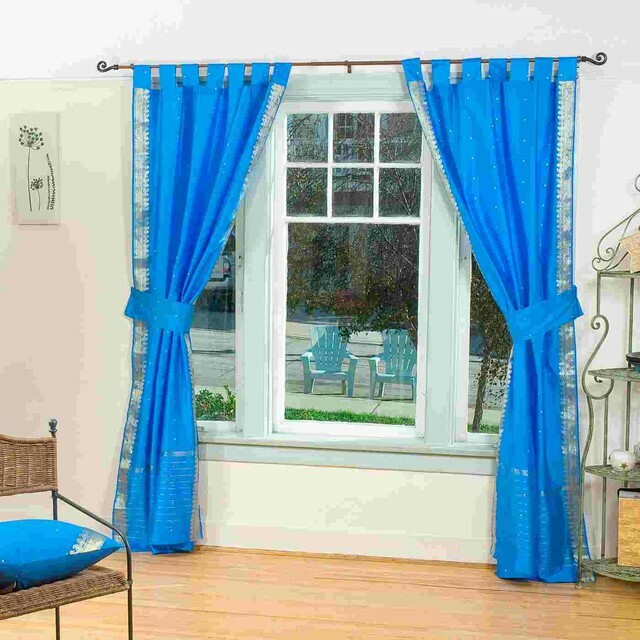 Net sarees will look wonderful as curtains; with a little bit of lace used for tying them back. Also, cotton sarees are a great option for bedspreads as the fabric is comfortable and a great colour combination matching your bedroom interiors is sure to fetch you some complements. 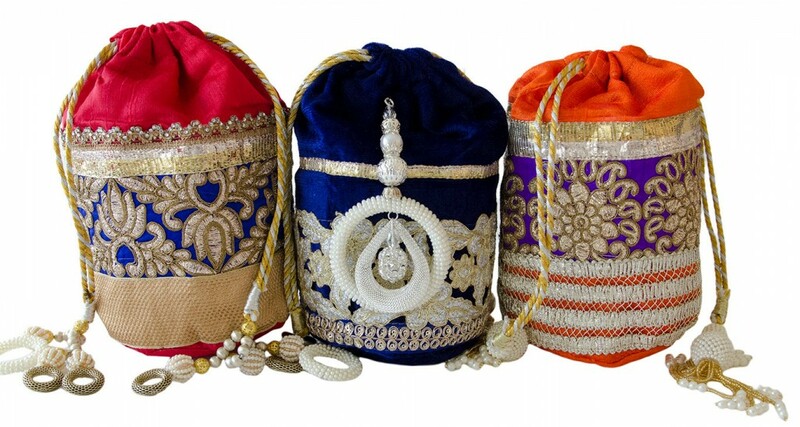 Potli bags are and will always stay in fashion when it comes to ethnic wear. With traditional sarees, these bags add a style statement. And trust me, they are the most easy to make, I myself have made a few and have also used it on many occasions. Zari or silk sarees, with nice borders make for a good potli bag. I have always been too fond of small frocks made of sarees. Especially cotton sarees with zari work. In Maharasthra, Parkar Polka is a traditional outfit worn by little girls. It’s a cute little outfit with a small blouse and a skirt. I think cotton sarees look wonderful when stitched into a parkal polka, and what better than seeing your little princess donning your favourite sarees. These are just a few ideas, however there are plenty of ways to reuse your old sarees, to preserve those memories and make them a part of your home. Lehengas, half-sarees, kurtis, overcoats and so much more. A little bit of research and browsing the internet will get you thousands of ideas and if you are creative enough, share a few with us as well.